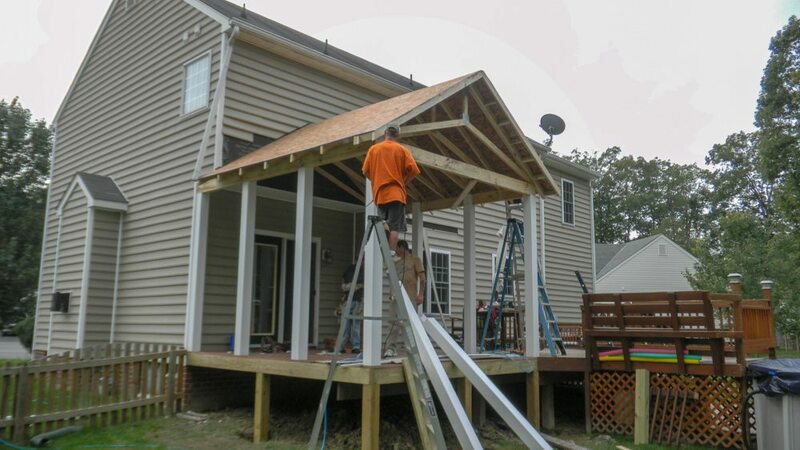 Below is a progress photo of a 12′ x 14′ maintenance free screen porch in the Fox Head subdivision of Hanover Co. 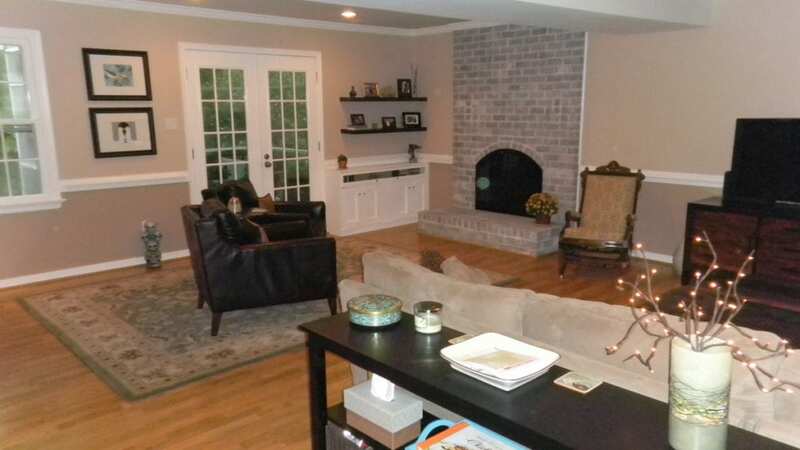 The porch has 6″ x 6″ pressure treated post that are covered with a white vinyl post sleeves. 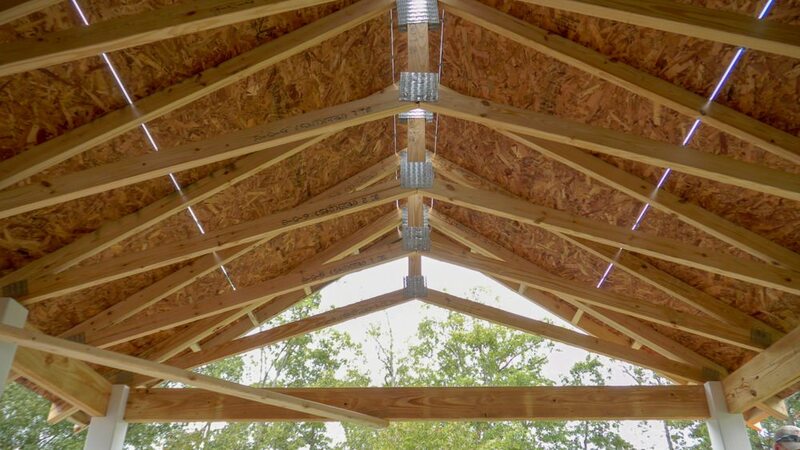 We used 8 / 12 engineered scissor trusses with a vaulted ceiling and 12″ overhangs on all 3 sides. Progress photo of screen porch in Hanover Co.
Roofing and all the cornice work will be completed soon so check back and see the more progress photos. See start photos posted on 10/15.